Traditionally, the relationship between theology and philosophy has been explored through the framework of ‘faith and reason’. This dichotomy can be seen ab ovo as early as the Presocratics, but it comes to the fore most prominently through the philosophy of Plato. In developing his epistemology, Plato divided reality into two orders: the visible realm (doxa) and the intelligible realm (episteme). For Plato, faith (pistis) falls within the realm of doxa, the realm of mere opinion, whereas reason (noesis) is the highest form of the episteme. Thus, true knowledge corresponds to being, whereas faith can only relate to matters of becoming and is thus a deficient form of knowledge. Although the traditional approaches to the relationship between philosophy and theology may reach conclusions which in no way mirror the Platonic epistemology, they still generally operate from within this framework of ‘faith and reason’. From the outset, Jüngel has attempted to move beyond the Platonic definition of faith as existing in a dichotomous relation to reason, and has rather operated with a notion of faith which is developed from a reading of the New Testament. With this in mind, it should be noted that Jüngel is approaching the relationship between philosophy and theology from an entirely different perspective to that of the tradition. Therefore, before any notion of philosophy or theology within the work of Jüngel is explored, an investigation of the underlying framework of faith which lies behind Jüngel’s whole theological approach must be examined further. In any attempt to fully grasp the theological approach exhibited by Jüngel, the various and incongruent influences upon his approach cannot be overlooked. Jüngel weaves an intricate tapestry in which he brings together various disparate thinkers and, thus, he displays a broad horizon of various theological influences. Because of this, Jüngel is often claimed wholesale by one school within this horizon to the detriment of the appreciation of other influences, and to the detriment of the very theological approach which he seeks to utilise. With this in mind, an exploration of the notion of faith within the Jüngel corpus cannot be championed as ‘Barthian’ or ‘Bultmannian’, but should be appreciated as simply ‘Jüngelian’. However, that is not to say that Barth or Bultmann have nothing to offer to the discussion, but rather to direct the focus upon the whole rather than the constituent parts. That said, the massive influence of the Bultmannian concept of faith as Selbstverständnis is the paradigm by which Jüngel’s notion of faith is explicated. However, that is not to make Jüngel a simple Bultmannian, and so the rigorous pressure of Barthian theology upon Jüngel’s doctrine of faith cannot go unnoticed. Whilst labelling Jüngel’s concept of faith as primarily a Barth-influenced Selbstverständnis, I am aware that the various expressions of this concept of faith throughout his corpus are far from neatly compartmentalised. This is no doubt the result of the existential character of this faith: faith is Selbstverständnis, self-understanding, “a new understanding of existence”. Faith is not merely some state of the human consciousness which bears upon the various other aspects of the human being. For Jüngel, faith is an event (Ereignis) in which the human participates and in which the whole of the person’s existence is conditioned. In this way, the ‘faith and reason’ framework is shattered. Faith is not a type of knowledge but instead the very reconstitution of one’s being. Undoubtedly, the holistic nature of this reconstitution of being must include the faculties of reason, but to simply juxtapose faith against reason is to reduce faith down to mere epistemology. However, in developing a notion of faith as Selbstverständnis, a further problem must be avoided: the problem of mere anthropology. If faith is characterised as ‘self-understanding’, then is not faith merely reduced down to an anthropological possibility? In this fashion, Karl Barth could claim that Bultmann’s notion of faith as Selbstverständnis acted as an ‘anthropological strait-jacket’ or a ‘totalitarian interpretation’. This objection to Bultmann’s notion of faith as Selbstverständnis has lead to a recurring number of similar criticisms which ultimately claim that this notion of faith is little more than an embodiment of the Lutheran depiction of sin as homo curvatus in se. Instead of being open to that which is extra nos, the reality of God, we rather turn inwards to reflect upon the ego. Instead of being reliant upon the self-revelation of God, we rely sinfully upon our own understanding. However, Jüngel is as concerned as the staunchest of Barthians to avoid developing a notion of faith which presupposes an innate capacity for God in man. Thus, Jüngel can affirm, “Faith comes from the word in which God comes to speech (Rom 10.17). It is a word which is to the benefit of humanity and the human world, a word in which God attests and promises himself: the gospel” It only by a fuller understanding of the event which results in faith that the notion of faith as Selbstverständnis must be understood. Jüngel’s conception of the notion of faith can be described as ek-static, as coming from beyond the individual, and thus the ground (Grund) of faith is not the human ego, but rather the God who gives himself to the world. However, the ‘giveness’ of God is not simply reduced down to the level of a passive faith. Jüngel is also keen to argue that ‘giveness’ is just as fundamentally active: it is a ‘giveness’ to knowledge. In giving himself to the world, God, as the ground and source of faith, gives himself up to be the object (Gegenstand) of faith. Faith is the human participation in the word of Jesus Christ with who God identifies himself. As such it is a Selbstverständnis in which the whole of the human being is reconstituted. This notion of ‘self-understanding’ is not a subjective category, but rather an ek-static movement from beyond the human subject, a movement initiated by God. However, in the event of faith, God gives himself to be the object of faith. It is this ‘giveness’ of God to be the object of faith that results in the need for Christian theology. Jüngel does not operate with a simple paradigm in which ‘faith’ and ‘reason’ are neatly juxtaposed. Instead, he understands reason as constituent element within the reconstituted human person, a human person to whom God has been given as the object of faith. “Faith gives itself to be thought… Faith is passionately concerned to understand itself and thereby understand God.” It is precisely the fact that faith gives itself to be thought that faith needs theology. We have seen how, for Jüngel, faith can be seen as an ek-static movement beyond the subject outwards. The existential nature of faith makes it impossible for faith to be self-reflective. If it could be so, then faith would cease to be what it is: a correspondence to the word of Jesus Christ. As a result, “because faith in every respect points away from itself, the believer needs something like theology.” For Jüngel, therefore, in its simplest form, theology thinks faith. Faith does not think itself. Thought thinks. Thus, theology and faith exist in tension. Theology is not an act of faith but an act of thought. The formal tension between faith as the act of faith and theology as the act of thought touches upon a more basic question regarding the nature of theology: why is it that faith must be thought in the first place? To ‘think’ God is to expose oneself to the dangers of objectivism, of turning God into a mere component of this world’s reality, to make him into an idol. It is exactly this hazard that lead Bultmann to raise the cry of ‘Demythologise!’ within the theological world. For Bultmann, faith was the existential determination of one’s being and, because of this, faith could not be given over to thought without losing itself as faith. Jüngel is careful to nuance the subtle difference between philosophy and theology as acts of thought. The importance of this formal difference between both philosophy and theology emphasises again the ‘otherness’ of the word which theology brings to thought. Theology begins with a presupposition: “The concept of the word of God implies as such the presumption that God be taken seriously as the one who speaks.” Theology, therefore, is dependant upon the self-revelation of God in history so that it can ‘hand over’ faith to thought. In this way, it is not derived from the structure of thought and is therefore more than an anthropological possibility. On the other hand, philosophy grounds itself. If philosophy is the self-reflection of thought, the thinking of thought by thought, then philosophy is self-justified: it ‘posits itself absolutely’. Thus, philosophy and theology, although both acts of thought, still remain subtly distinguished from one another. There is in Jüngel, therefore, a carefully developed notion of the relationship between philosophy and theology; a dissimilarity in similarity. 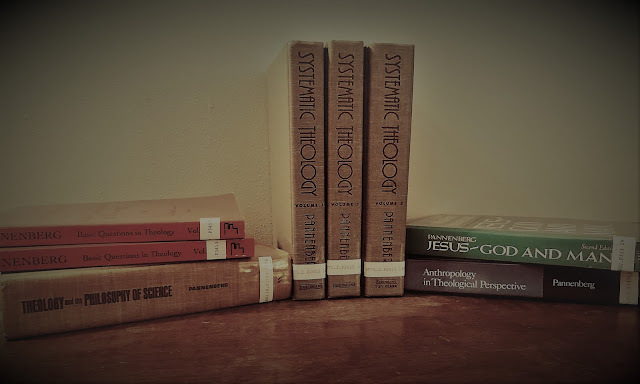 Whilst both philosophy and theology are formally acts of thought, they still differ materially in that theology remains parasitic upon the event of the word of God appearing in history whereas philosophy is self-justifying. In this sense, it becomes obvious how the relationship between philosophy and theology can only be conceptualised with recourse to the person of Jesus Christ in history. “Theological critique is materially the orientation of theology to the ‘word of the cross’ as the ‘word’ (logos) which is constitutive for all talk about God, and this orientation must be constantly renewed.” In the chapters that follow, a more explicit exploration of this formal relationship will be undertaken so as to more richly develop Jüngel’s conception of the usefulness of philosophy to the theological task. That is not to say that the relationship between these two notions is always understood in the same way. Thus, we come across a number of studies with titles ranging from Faith and Reason, Faith with Reason, Faith beyond Reason, Faith and Rationality, &c.
See Helm, Paul Faith and Reason, ed. Paul Helm, (Oxford: Oxford University Press, 1999), 15. The fullest expression of this epistemology is found in Book VI of the Republic, trans. Tom Griffiths, (Cambridge: Cambridge University Press, 2000). The best expression of this comes in the discussion of Hegel in God as Mystery of the World, in which Jüngel explores the ‘faith and reason’ framework through history. Jüngel categorises three major periods in this history – (1) Faith and knowledge as a peaceful distinction within theology (religion), (2) Faith and knowledge as a disputative distinction between theology (religion) and philosophy, (3) Faith and knowledge as an unreconciled distinction within philosophy. See Jüngel, Eberhard. God as the Mystery of the World, trans. Darrell Guder, (Edinburgh: T & T Clark, 1977), 67-89. 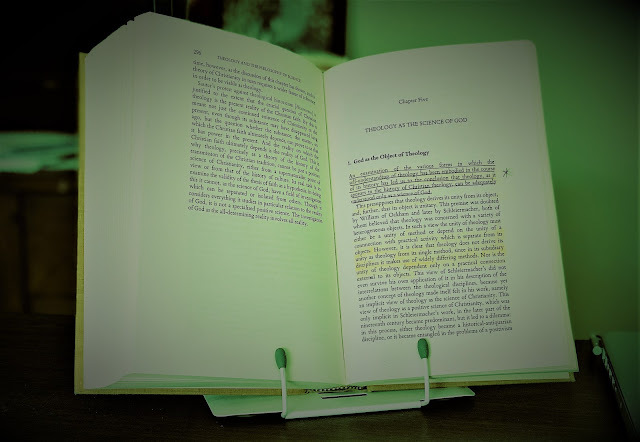 See Webster, John B. Eberhard Jüngel, (Cambridge: Cambridge University Press, 1986), 26, where Webster reduces the influence of Bultmann to mere exegesis and the influence of Barth to mere dogmatics. I use Bultmannian in the wider sense of the word to include those who were influenced by Bultmann and subsequently influenced Jüngel, i.e. Ernst Fuchs, Gerhard Ebeling, &c.
As an exercise, take a copy of God as the Mystery of the World and read through ‘Section 11: The Word as the Place of the Conceivability of God’ noting the various definitions of faith that are given throughout the passage. Bultmann, Rudolf ‘Das Problem der “naturlichen Theologie”’ in Glauben und Verstehen: Gesammelte Aufsätze, (Tübingen: J.C.B. Mohr, 1933-65), vol. 1, 297. The notion of faith as Ereignis is an abstract concept. Whilst it seeks to avoid the problems of the Platonic notion of faith as diminished truth it poses a number of problems of its own. For a number of criticisms of the Ereignis character of faith see Watson, Francis ‘Is Revelation an ‘Event’?’ in Modern Theology 10, (1994). For the fullest expression of this notion by Jüngel, see Jüngel, Eberhard ‘Glauben und Verstehen: Zum Theologiebegriff Rudolf Bultmanns’ in Wertlose Warheit: Zur Identität und Relevanz des christlichen Glaubens: Theologische Erörterungen III, (Munich: Christian Kaiser, 1990). Bultmann, Rudolf ‘Gnade und Freiheit’ in Glauben und Verstehen: Gesammelte Aufsätze, (Tübingen: J.C.B. Mohr, 1933-65), vol 2. 160. On this, see the essay by Ben Myers in which a mediatorial path between Barth and Bultmann is carefully trod – Myers, Benjamin ‘Faith as Self-Understanding: Towards a Post-Barthian Appreciation of Rudolf Bultmann’ in International Journal of Systematic Theology, etc. etc. Barth, Karl Church Dogmatics III/2, ed. T.F. Torrance and G.W. Bromiley, (Edinburgh: T & T Clark, 1960), 446. Barth, Karl ‘Rudolf Bultmann – An attempt to Understand Him’ in Kerygma and Myth: A Theological Debate, ed. Hans Bartsch, trans. R.H. Fuller, (London: SPCK, 1953-62), 115. See Myers, ‘Faith as Self-Understanding’, 3-4. That is not to say that I see this criticism of Bultmann as landing neatly on the mark. See Myers, ‘Faith as Self-Understanding’ for a fuller treatment of Bultmann. Jüngel, Eberhard ‘My Theology – A Short Summary’ in Theological Essays II, trans. and ed. J.B. Webster, (Edinburgh: T & T Clark, 1995), 6. “Whatever the word ‘God’ is to mean for our thinking is determined, for the Christian faith, in Jesus. Faith understands him and confesses him as the word of God…Through him, according to Hebrews (1:2), God has spoken to us definitively.” Jüngel, God as Mystery, 12. DeHart, Paul Beyond the Necessary God: Trinitarian Faith and Philosophy in the Thought of Eberhard Jüngel, (Atlanta, GA: Scholars Press, 1999), 22. For some insightful remarks on the event-character of Jesus identification with God see Webster, Eberhard Jüngel, 35-36. Jüngel, Eberhard ‘Metaphorical Truth’ in Theological Essays I, trans. and ed. J.B. Webster, (Edinburgh: T & T Clark, 1989), . “In so far as the knowing human person is the subject of knowledge of God, God must be spoken of as the object of this knowledge. In this sense, talk about God’s ‘being-as-object’ is indispensable.” Jüngel, God’s Being is in Becoming, 55. Jüngel, ‘Freiheit der Theologie’, 18. In this way, theology must be conceived of as a Nachdenken, or thinking after, which occurs not only temporally ‘after’ the event of faith, but follows in the wake of the faithful existence. See Jüngel, God as Mystery, 167-169. Jüngel, ‘Freiheit der Theologie’, 25. Jüngel briefly expounds this notion of the ‘Feuerbachian inversion’ in Jüngel, Eberhard ‘What Does it Mean to Say, ‘God is Love’?’ in Christ in our Place, eds. Trevor Hart and Daniel Thimell, (Exeter: Paternoster Press, 1990), 304-305. This notion can also been seen in the critique of Hegel in God as Mystery. “God became man in Jesus Christ in order to distinguish definitively between God and man forever, and this soteriological aspect is not dealt with by Hegel but turned into its opposite. Hegel’s God needs man, who thereby becomes divine himself.” Jüngel, God as Mystery, 94. The notion of ‘thought’ in Jüngel is no doubt influenced by the philosophy of the later Martin Heidegger. This is all too often ignored within Jüngel scholarship and so a reading of Heidegger can only be useful to this end. For Heidegger, the notion of thinking as ‘meditative thinking’ is expounded through the notion of Gelassenheit. That is, thought is a releasement towards things, an openness to mystery. The strong ties with Jüngel’s thought here are striking. See Heidegger, Martin ‘Was heisst Denken?’ in Basic Writings, ed. David Krell, (San Fransisco, CA: Harper, 1993) and also Heidegger, Martin Discourse on Thinking, trans. John Anderson and Hans Freund, (New York: Harper and Row, 1969). “Whatever must necessarily be thought can only possibly be thought in the historical context of thought.” Jüngel, God as Mystery, 200. This, after all, is the driving framework behind Jüngel’s magnum opus, God as the Mystery of the World. The driving hermeneutic behind this work is the tension between the ‘God’ of theism and the ‘God’ of atheism. Jüngel constantly returns to this aporia which colours the whole work: “The statement of the death of God reveals that there is an aporia in the ‘natural’ concept of God which makes the essence of God problematical, and it does so not only in its Christological usage but also in its nontheological, expressly atheistic usege.” Jüngel, God as Mystery, 102. Jüngel, God as Mystery, 153. The most explicit example of this comes in the article ‘Die Freiheit der Theologie’, where Jüngel carefully formulates this relationship in a very precise manner. See Jüngel, ‘Freiheit der Theologie’, 56-57. Jüngel calls this presupposition the ‘presumable presumption’ in Jüngel, God as Mystery, 161. In God as Mystery, Jüngel contrasts the ‘thinking of the world’, which is undertaken by philosophy, with the attainment of ‘more than the world’ which is accomplished by theology; a theology which presumes that God is the God who speaks. See Jüngel, God as Mystery, 160-161. See Jüngel, ‘Das Verhältnis der theologischen Disziplinen’, 43. Jüngel, God as Mystery, 38-39. I have several objections to make. First, I see quite a lot of difference between Plato's use of the word pistis and its use in the NT. For Plato, translate it "belief". Plato believes that "knowledge" (episteme) is "true belief" (pistis) plus an account (logos) justifying that belief. In the NT, however, the word pistis seems to be used in its more ordinary Greek sense of trusting in someone. When the NT encourages us to have pistis towards God, it does not necessarily imply that our pistis is mere fallible opinion rather than knowledge. Indeed the theological tradition from Augustine (I believe) through John Calvin maintains otherwise. I'm not simply harping on a philological point here. As a philosophy student, I am extraordinarily suspicious of Jüngel's existentialist account of faith--precisely because it sounds an awful lot like this theological account is taking bearings from Heidegger's existentialist philosophy, which philosophy I take to be deeply indebted to the very cartesian problematic it is attempting to overcome. For instance, Jüngel says "Faith is self-understanding." That has to be either a descriptive claim or a normative one and the claim does not seem to be true on the level of pure description of religious experience. If the NT use of the word pistis counts as evidence for the character of the experience of faith, the significance of the experience of faith means trusting in God's love and mercy. And I simply don't see any evidence in the NT for construing faith as self-understanding. (Faith may include an aspect of understanding some of God's attributes, and possibly an understanding of oneself as a sinner or some such, but that seems to be accidental to the thing, not its essence.) Indeed, it's hard to see how the NT could possibly be construed to speak to the existentialist preoccupation, because it is not indebted to post-cartesian skepticism. Nor can I think of any purely theological grounds to support the claim as a normative claim. Take Descartes and the philosophical problem of subjectivity out of the picture and, then what is the motivation for the claim that faith is self-understanding? Now, as to Jüngel's view on the relationship of faith and reason. Jüngel's existentialist move is supposed to reconfigure the relationship between faith and reason, but I don't see any reason to support that existentialist move. Basically, I think there is a very commonsense, premodern position to hold which makes sense of all of the relevant facts. That position is this: grace presupposes nature. And just as grace presupposes nature, faith presupposes the existence of the person in whom God creates it. Faith, then is God's gift of revelation to the person who is thus freed to trust in God's mercy. You can certainly raise the skeptical problematic about this position: how do you know that your experience is a real experience of faith and not just a deluded religious experience? But that's a concern with which the NT never deals. I happen to think there might be good responses to that question. But answering those questions is properly the domain of the Christian philosopher, not the theologian. Christian philosophy, then is a real thing, with its own subject matter and presuppositions, and it shares a methodology with secular philosophy. The difference is that faith informs the Christian's philosophizing and, having believed, he may seek to understand. I don't see anything in Jüngel that improves on that general picture. I think a couple of things need clarifying. 1 - I think you should perhaps remind yourself of the similarities which exist between yourself and Jüngel (even if only at the level of methodology). Firstly, you're both committed to some sort of notion of Christian philosophy (which, for Jüngel, given the climate he is working in especially post-Barth, is something which is not to be overlooked). In this sense, regardless of the model which he institutes and builds upon, he is going to be saying something which should resound with your own pathos. Secondly, I feel as though your opening criticism of Jüngel falls a little short of the mark. Jüngel is seeking to move past a notion of faith as 'belief' qua 'mere opinion' (something probably exaggerated during the 'pre-modern' period that you yourself seem to champion as the solution to all problems). Regardless of the Heideggerean trajectory of his move, you yourself are aligning yourself with him in a move beyond a Platonic notion of 'faith' to a more NT-centred one (although you see him as being deficient in this area). Thirdly, you claim that Jüngel's problem is that his post-cartesian reaction ironically ends up reinstating some form of cartesian subjectivity (and thus is to be dismissed tout court. However, you seem to forget that he is trying to do exactly what you yourself would claim to be doing, namely overcoming cartesian skepticism (although Jüngel seeks to move beyond Descartes rather than pretend he never existed...) Thus, having highlighted these areas of commonality between yourself and Jüngel, you should be given to a more sympathetic reading of Jüngel rather than dismissing him out of hand. That is not to say you should agree with him. 2 - At the level of your disagreements: firstly, your argument that faith as self-understanding is neither normative nor descriptive w.r.t. the NT. Although I know little of formal philosophy, I should like to know how you arrive at a position of philosophical authority with respect to normative and descriptive claims in the NT - it seems to me that you are arguing some form of philosophically-enlightened hermeneutic - i.e. the Bible is the standard of truth but we can only read the Bible accurately with some understanding of philosophy in place (in which case, your readings of the Bible will beat mine hands down due to my own poxy knowledge of philosophical argumentation). That aside, such an argument seems to ignore much of the theological task through time (which, as you seem to think we can forget about everything after and including Descartes, is hardly a suprise). I suppose, depending on how you construe the theological task is going to affect how you understand the relationship of appellations (such as 'self-understanding') to such aspects of the theological task as 'faith' - if you are wanting one-to-one mapping (which such language about descriptive and normative claims seems to be desiring) then I suppose yes you have a fair criticism - Jüngel should not be calling faith 'self-understanding'. However, if (like the majority of the church) you can happily introduce appellations (such as trinity, supralapsarian, ontological, etc.) upon the subject matter of the NT, then Jüngel has hardly trespassed except in content. At the same time, I myself have uncertainties with respect to Jüngel's claim that faith is 'self-understanding' but not at the level of methodology but of content (not to say you don't). I just feel that, of the many existentialist accounts of Christian doctrine, there is none which is so well argued as that of Jüngel and so, to dismiss him simply because he belongs (in your mind) to a philosophical school with which you disagree, is unfair and reductionistic. At any rate, he has a good go at overcoming the problems of cartesianism (if indeed there are any - thanks Zizek) without simply ignoring the problems that contemporary Christianity faces. I suppose what I am saying here is that you could read Jüngel a little more sympathetically. I think it is true to say that you could develop a notion of the relationship between philosophy and theology which doesn't have to buy in to such a rigorous existentialism. 3 - "Basically, I think there is a very commonsense, premodern position to hold which makes sense of all of the relevant facts. That position is this: grace presupposes nature... Faith, then is God's gift of revelation to the person who is thus freed to trust in God's mercy." Again, you misunderstand Jüngel if you suggest that he doesn't hold this position too (following Barth for the most part). Jüngel's argument hinges on this notion. By simply reading Jüngel as a naive existentialist turning his hand to theology you overlook the broadness of Jüngel's position. He's not simply buying into Heidegger and squeezing it into a Christian mould (which, regardless of his excellent hermeneutical expertise, Bultmann always seemed to do when he came to theology) but appreciating the problems that Bultmann couldn't overlook with the theological approach to Karl Barth. That said, "You can certainly raise the skeptical problematic about this position: how do you know that your experience is a real experience of faith and not just a deluded religious experience? But that's a concern with which the NT never deals." is a fair criticism. 4 - So Shane, by a long and winding road, I just want you to read Jüngel a little more sympathetically. Do I think you'll change your mind about him - no. But then I will never fully embrace Jüngel's theology or even close (I myself, like you, appreciate a lot of what you call pre-modern thinking whilst never ignoring the problematics that modernity raises (at least to some degree)). However, I do think Jüngel offers something at least to those who want to use philosophy in the theological task which is no doubt something that you yourself will appreciate. Congratulations, Jon. In my opinion, an excellent work. I will post some comments later. I think you focus well on Jüngel’s, let’s say, epistemological highest problem: “that God be taken seriously as the one who speaks.” This is linked to human being and to God, and the explicitation of the problem is the circuit existing between the relationships both maintain. I want to make a comment about “Self-Understanding”. Faith to Bultmann is not an anthropological possibility, as you suggest. Bultmann wants to avoid all kind of anthropocentrism. The priority of faith is from the side of God, this is the only valid meaning of miracle to the old marburger. The problem is that when God appears, He does so changing human self-understanding. How could be done otherwise? But then a terrible dilemma appears: is the presence of God real, or only a mirage of human possibilities? Only a personal decision is capable of responding that. So, I think the correction you seem to make upon Bultmann self-understanding, more than a correction is an explicitation of this important concept. "Firstly, you're both committed to some sort of notion of Christian philosophy "
My understanding was that Jüngel follows Heidegger in rejecting the possibility of "Christian Philosophy". I'm perfectly willing to be corrected if I have Jüngel wrong on that point, but, given his dismissal of natural theology and his debts to Heidegger, I took Jüngel to be following Heidegger in thinking that "Christian Philosophy" is a contradiction in terms, like "round square". Secondly, I feel as though your opening criticism of Jüngel falls a little short of the mark. Jüngel is seeking to move past a notion of faith as 'belief' qua 'mere opinion' (something probably exaggerated during the 'pre-modern' period that you yourself seem to champion as the solution to all problems). Regarding the third point, let's be precise I am not stating that Jüngel falls into the cartesian pit. I am stating that Heidegger does so and that I suspect that insofar as Jüngel follows Heidegger in several ways, Jüngel may fall prey to the same problems that bedevil Heidegger. I realize that I'm doing a lot of handwaving here. It might be the case that Jüngel's position is more independent of Heidegger's than I suspect it is, after all, because I'm no expert on Jüngel. Below, I will try to describe briefly what I think Heidegger is up to and why he's wrong and then you can tell me whether you think my criticisms will apply to Jüngel or not. But that might be going a bit far afield, so I'll leave it to your discretion whether to press the issue or no. Fourth, I don't think philosophy is necessary to read the Bible or to have faith. Rational reflection upon the content of faith, i.e. theology, might well require some general level of reflective knowledge, but faith itself does not. Fifth, I have no desire to ignore Descartes and the legacy of modern philosophy, but I do think there is an important misstep in Descartes's attempt to provide absolutely unshakeable foundations for philosophy. I suppose of all the modern philosophers, my position is closest to Kant's. Radical skepticism seems self-defeating and furthermore, it is obviously the case that we have knowledge of synthetic a priori judgments, Hume's Fork notwithstanding. "Every event has a cause" is true, and I know it to be true. The problem at hand is to explain how I know it, not to bother with bloviating skeptics about brains in vats and the like. There are two forking paths after Kant though, the Anglo-American, more commonsense read on Kant and the transcendental interpretation taken by Husserl and Heidegger. Jüngel seems to me to be following that transcendental line in saying that the subject is not a "substance", or a thing, but rather an activity, or event. That activity or event of activity constitutes the subject as a knowing subject or an anxious subject or a bored subject or some such. The motivation for this position is that Kant supposedly has not yet answered the skeptical problem, because he relies upon a dichotomy of inner, subjective experience and outer, objective facts. Husserl's version of transcendentalism, which Heidegger seems to me to follow, attempts to link inner and outer so that you cannot have the one without the other, thus overcoming the skeptical problem. Jüngel tweaks Heidegger's position by making "faith", an extrinsic gift of God to be the primary event which constitutes the believing subject. I, on the other hand, belong to the other line of thought. I don't see anything wrong with thinking of the subject as a thing which is the substrate of all these various activities of thinking, believing, fearing, being anxious and etc. Indeed, it is utterly obscure to me how I could be anxious if "I" were not already somehow something logically prior to my being anxious. My position is that the actuality (my being something at t0) precedes the possibility of what I might become at t1. Jüngel's position, as I understand it, is exactly the opposite. And at that point, I have to admit that I am unable to make heads or tails of what he is claiming there. His position sounds like mantic nonsense to me. But perhaps you or someone else can offer me a sensible explanation and defense of his claim. At any rate, I think my general point is clear--I think the cartesian problematic is driving Jüngel's theology in a couple of key places and I think that is deleterious. Heidegger does not follow Descartes. In fact, he is anti-cartesian. He reverses Descartes problem by questioning the “sum” of the “cogito”. I cannot be more in disagreement with you at that point. You also say Husserl and Heidegger share a transcendental interpretation of reality and subjects. I don’t share also that. Husserl and Heidegger broke for a lot of reasons, but one of them was that Husserl thought Heidegger was perverting his philosophy. He wrote in his exemplar of Sein und Zeit, just at the side of the dedicatory Heidegger gave to him, amicus Platonis, sed mayor amicas veritas (or something like that). Husserl's debts to Descartes (and Kant) are relatively clear. The later Husserl endorses a transcendental phenomenology which seeks to complete Descartes' project by carrying it even further. Descartes introduces methodological skepticism, "I will doubt x, to see if I can find some indubitable ground". Husserl introduces the epoche, "I will suspend all judgment regarding x, and merely analyze the structures of x-as-it-presents-itself-to-me." John Drummond has tried to persuade me that Husserl is actually a realist, despite all the questionable things he says in the Cartesian Meditations. Drummond obviously knows a lot more about Husserl than I do, but Husserl's transcendental phenomenology sure looks awfully like a solipsistic idealism to me. The early Heidegger's view in Sein und Zeit seems somewhat similar to me because most fundamentally this is a book about the analysis of the structures which are the conditions of the possibility of our experience of the world. There are some interesting phenomenological investigations here--Heidegger isn't just a rehash of Kant's position or something like that. And clearly Heidegger is reacting against Descartes in different ways, rejecting "subjectivity" and the inner/outer distinction, for instance. However, I think the position of the Late Husserl and the early Heidegger are still clearly descendants of the transcendental problematic inherited from Kant who has it from Descartes. Perhaps Heidegger's famous turn in his later work could count as evidence for my claim here. Perhaps Heidegger realized to what extent Sein und Zeit remained transcendental phenomenology and therefore bound up in that problematic and then felt the need to try to break away to something completely different, thus his attempts to retrieve Parmenides and Heraclitus and his dialogue with a Japanese. If it is the later Heidegger you have in mind in your earlier post, then I would agree he is resolutely breaking away from Descartes. However, I think the trajectory of those later writings veers quickly towards nonsense. On the contrary, I think Sein und Zeit does make a certain amount of sense, but I find the view there indebted to a problematic approach to solving the cartesian problem. Husserl and Descartes. Cartesianische Meditationen are only some conferences Husserl made at Paris. You may know Husserl was not a philosopher, but a mathematician. He knew only a few of history of philosophy. So, his Descartes interpretation as a rapprochement to his phenomenology is no sense. Husserl himself was perfectly aware of that, and in his late times he used to refer to his allusions to other thinkers as “meine Romane”, “my romance”. There is a capital point that differentiates Descartes from Husserl. While to the French consciousness is closed, to Husserl is opened and defined by intentionality. I don’t know who Mr. Drummond is, but I do not share also Husserl is a realist, nor idealist. His views overcome this dichotomy. Concerning Heidegger, I was referring to the first one. You forget the great influence Dilthey, Kierkegaard and also Bultmann play on his first works. To see in Heidegger a late development of cartesianism or kantism is a very interested view.